March "Gruß an Kiel (de)"
The German Navy (German: Deutsche Marine or simply German: Marine— ) is the navy of Germany and part of the unified Bundeswehr ("Federal Defense"), the German Armed Forces. The German Navy was originally known as the Bundesmarine ("Federal Navy") from 1956 until 1995 when Deutsche Marine ("German Navy") became the official name with respect to the 1990 incorporation of the East German Volksmarine ("People's Navy"). It is deeply integrated into the NATO alliance. Its primary mission is protection of Germany's territorial waters and maritime infrastructure as well as sea lines of communication. Apart from this, the German Navy participates in peacekeeping operations, and renders humanitarian assistance and disaster relief. The German Navy traces its roots back to the Reichsflotte (Imperial Fleet) of the revolutionary era of 1848–52. The Reichsflotte was the first German navy to sail under the black-red-gold flag. Founded on 14 June 1848 by the orders of the democratically elected Frankfurt Parliament, the Reichsflotte's brief existence ended with the failure of the revolution and it was disbanded on 2 April 1852; thus, the modern day navy celebrates its birthday on 14 June. Between May 1945 and 1956, the German Mine Sweeping Administration and its successor organizations, made up of former members of Nazi Germany's Kriegsmarine ("War Navy"), became something of a transition stage for the navy, allowing the future Marine to draw on experienced personnel upon its formation. In 1956, with West Germany's accession to NATO, the Bundesmarine ("Federal Navy"), as the navy was known colloquially, was formally established. In the same year the East German Volkspolizei See (literally "People's Police Sea") became the Volksmarine ("People's Navy"). During the Cold war the all of the German Navy's combat vessels were assigned to NATO's Allied Forces Baltic Approaches's naval command NAVBALTAP. With the accession of East Germany to the Federal Republic of Germany in 1990 the Volksmarine along with the whole National People's Army (Nationale Volksarmee, NVA) became part of the Bundeswehr. Since 1995 the name German Navy is used in international context, while the official name since 1956 remains Marine without any additions. As of 16 December 2016, the strength of the navy is 16,137 men and women. 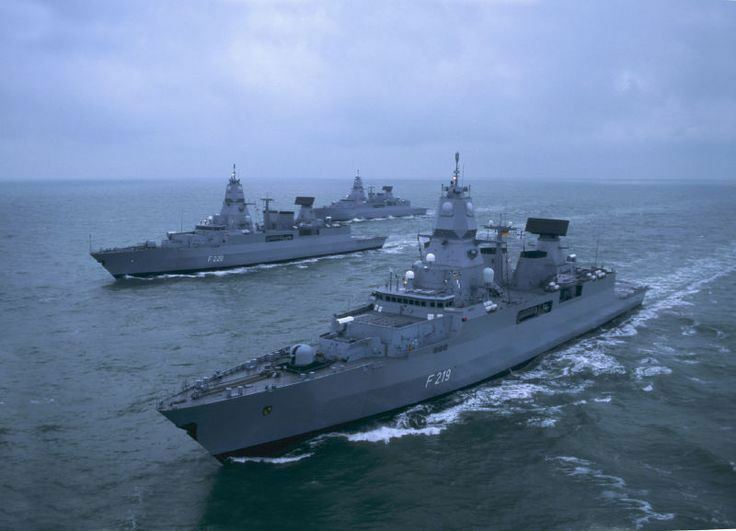 German warships permanently participate in all four NATO Maritime Groups. 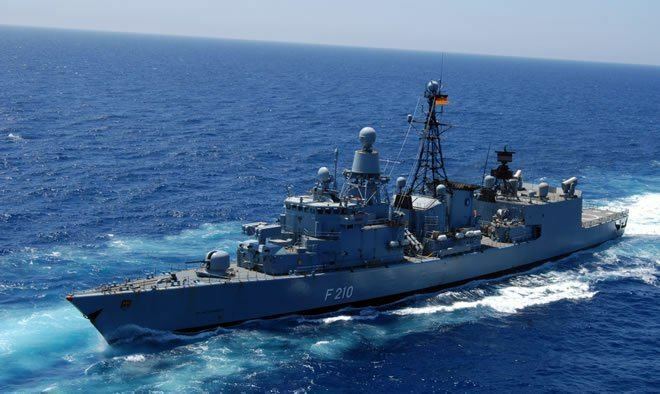 The German Navy is also engaged in operations against international terrorism such as Operation Enduring Freedom and NATO Operation Active Endeavour. 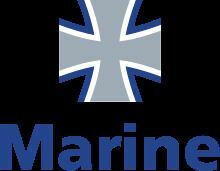 Presently the largest operation the German Navy is participating in is UNIFIL off the coast of Lebanon. The German contribution to this operation is two frigates, four fast attack craft, and two auxiliary vessels. The naval component of UNIFIL has been under German command. The navy is operating a number of development and testing installations as part of an inter-service and international network. Among these is the Centre of Excellence for Operations in Confined and Shallow Waters (COE CSW), an affiliated centre of Allied Command Transformation. The COE CSW was established in April 2007 and officially accredited by NATO on 26 May 2009. It is co-located with the staff of the German Flotilla 1 in Kiel whose Commander is double-hatted as Director, COE CSW. 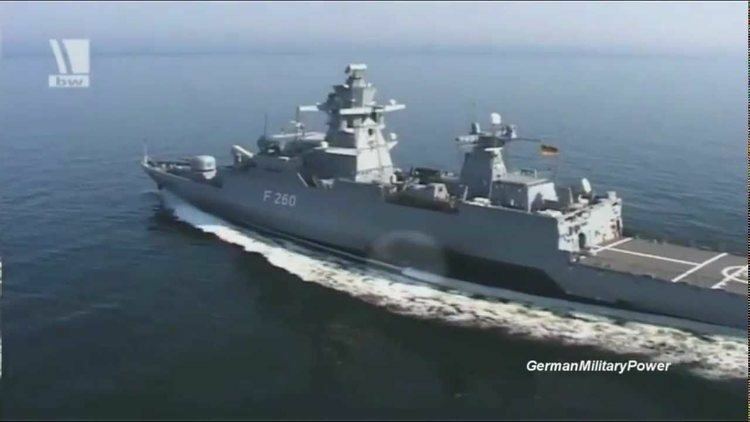 In total, there are about 65 commissioned ships in the German Navy, including; 10 frigates, 5 corvettes, 3 minesweepers, 10 minehunters, 6 submarines, 11 replenishment ships and 20 miscellaneous auxiliary vessels. The displacement of the navy is 220,000 tonnes. In addition, the German Navy and the Royal Danish Navy are in cooperation in the "Ark Project". This agreement made the Ark Project responsible for the strategic sealift of German armed forces where the full-time charter of three roll-on-roll-off cargo and troop ships are ready for deployments. In addition, these ships are also kept available for the use of the other European NATO countries. The three vessels have a combined displacement of 60,000 tonnes. Including these ships, the total ships' displacement available to the Deutsche Marine is 280,000 tonnes. A total of five Joint Support Ships, two JSS800 and three JSS400, were planned during the 1995–2010 period but the programme appears now to have been abandoned, not having been mentioned in two recent defence reviews. The larger ships would have been tasked for strategic troop transport and amphibious operations, and were to displace 27,000 to 30,000 tons for 800 soldiers. The German Navy will use the Joint Support Ship HNLMS Karel Doorman (A833) of the Royal Netherlands Navy as part of the integration of the German Navy Marines (Seebatallion) in the Royal Netherlands Marine Corps as of 2016. The naval air arm of the German Navy is called the Marinefliegerkommando. The Marinefliegerkommando operate 55 aircraft. The German Navy is commanded by the Inspector of the Navy (Inspekteur der Marine) supported by the Navy Command (Marinekommando) in Rostock. 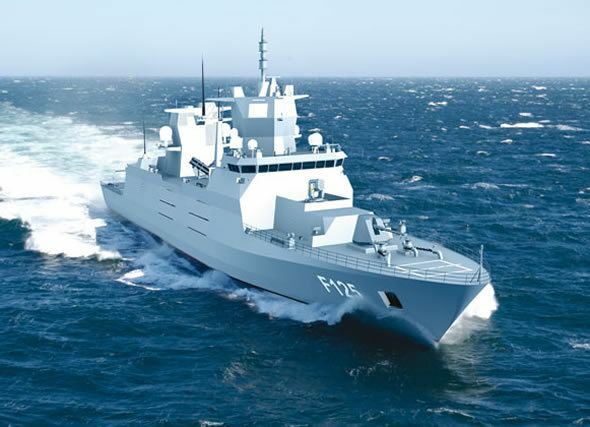 A first batch of four frigates of the F125 class (Baden-Württemberg class) specialised for persistent stabilization missions is planned to replace all eight Bremen class guided-missile frigates. Each F125 will have two crews. They are expected to enter service between 2016 and 2018. Two more Type 212A submarines will be procured within the next decade. Five additional Braunschweig class corvettes will be procured from 2019–2023. 18 NH90 NFH Helicopters ordered to replace Lynx in ASW/AsuW role, originally ordered by the German Army as NH90 TTH variant. A first batch of six Camcopter S-100 UAVs for the use on the Braunschweig class corvettes has been ordered (more being planned). Deliveries will take place in 2013. Integration of the German Navy Marines (Seebatallion) in the Netherlands Marine Corps and use of the Amphibious ships of the Royal Netherlands Navy such as the Joint Support Ship HNLMS Karel Doorman (A833) as of 2016. In May 2013 it was announced by both Ministers of Defence that the German- & Dutch Navy agreed to integrate submarine operations, training and design for future replacements.